A friend asked recently if I would post about the best thrift stores in Austin for women’s clothes. I’m not an expert by any means, but I do have my personal preferences, which I’m more than happy to share. One caveat before we start: Austin has a myriad of great vintage shops for women’s clothes (as well as housewares), especially in 78704, on North Loop, and along Burnet Road. This article is not about those shops, though. I love browsing in vintage shops, but I usually find myself holding back from spending any money because—and this might sound hilarious—the prices are too high. Vintage shops charge a markup for their trouble and their taste in selecting the items, which I understand of course. I even think that would be a fun business to be in. But I like the process of digging through all the refuse to find that one treasure. I told someone at the swap last weekend that thrifting is practically a meditative practice for me. That’s why I usually only buy from actual thrift shops. If you hate all the chaos of a thrift shop though (which I also totally get), definitely check out a curated vintage shop. If I had to go to only one Goodwill from this day forward (gasp! 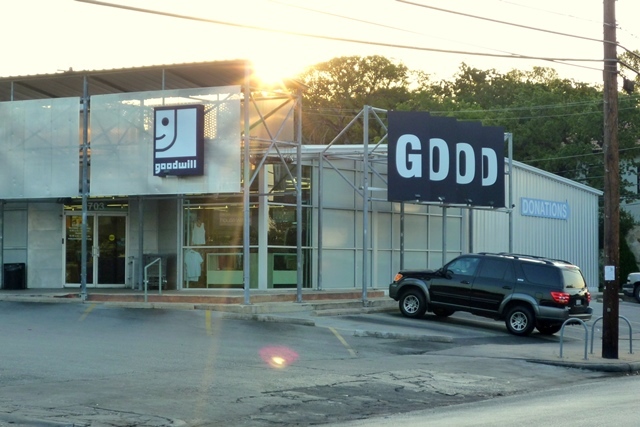 ), the Goodwill off of Lake Austin Boulevard would be it. This is a selfish move, because they really don’t have too many kids’ clothes, but I think I could live with that. 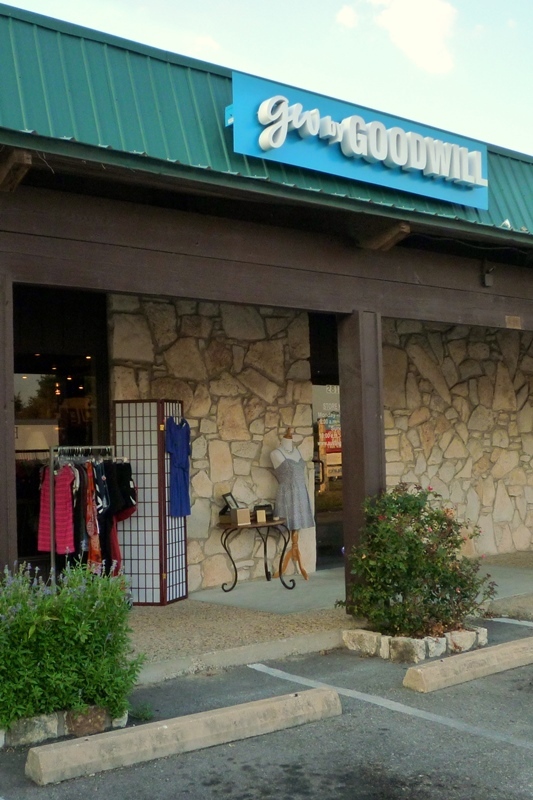 This Goodwill is often referred to as the Gucci Goodwill, and if you know Austin neighborhoods, you won’t find this the least bit surprising. I asked an employee once if they share donations among locations, and she answered no; for the most part, items are sold at the location where they were donated. So that means that Tarrytown, Enfield, Clarksville, and Pemberton Heights households most likely unload their too small, too big, wrong color, etc. clothes here—and then they end up on the racks. Shopping here is similar to shopping at any other Goodwill—you still have to sort through a bunch of crap to find good stuff—except that here you have slightly better odds of finding something of higher quality. Unfortunately for us (and fortunately for Goodwill, a great nonprofit that does important work helping people find jobs), their staff know their high-end labels, so don’t expect to see any Coach handbags just lying around for sale. Those items get saved for the Saturday auctions, which I never mess with (Saturday mornings are for sleeping). Two of my favorite things to shop for here are dresses and coats, but that may just be because those are my two favorite things to shop for period. You can often find boutique brands mixed in with all the regular mall brands, which makes things a bit more interesting. Price points here for women’s clothes are a little higher than your average Goodwill: $10 for dresses, $6 for blouses, $8 for skirts, $13 for jeans, $8 for sweaters, $12 for coats—all just rough averages. Some people consider this location’s prices to be too high. To me, though, the few extra dollars you pay per item are worth it in exchange for the increase in the quality of the stock. This store is a relatively recent addition to Austin’s Goodwill lineup. Located in a modest strip mall in Westlake (how does that place get past the beautification committee? ), sandwiched between a dry cleaner and a printing company, is a Goodwill unlike all the others. They call it a boutique, which might make you chuckle, but it is definitely operating under a different model than most Goodwill stores. They display fewer clothes, and what they do sell is fairly high quality, and often brand name. It also looks like a boutique, or at least a regular store, with short racks that are sometimes perpendicular to each other (as opposed to the grocery-store-style layout typical of most Goodwill locations). The prices here are a little higher: $16 for dresses, $9 for blouses, $8 for skirts, $16 for jeans, $10 for sweaters, $18 for coats—again, just averages. Use your judgment. For example, some sundresses might not be worth $16, but a more formal dress might be a steal at that price. My favorite thing about this store is the quality of the clothes. For example, I love J.Crew clothes, but if I shopped there, I could never afford to get margaritas with my girlfriends. So I choose thrift shopping instead. Over the past year I’ve found two wool sweaters here and one short cotton skirt, all from J.Crew and all in good condition. I went a few weeks ago and found this leather jacket from Liz Roberts / Robert Elliot, which apparently made clothes for Bergdorf Goodman at some point. 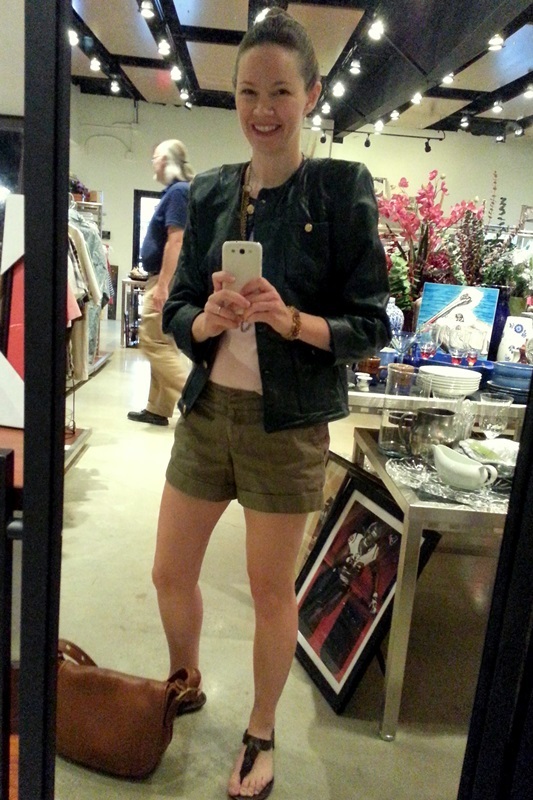 The shoulder pads were formidable, but the leather was really high quality and I loved its dark green color. I’m grinning like a goofball in this photo because that guy in the background just witnessed me taking my pic in the mirror and I was feeling like a big dork. 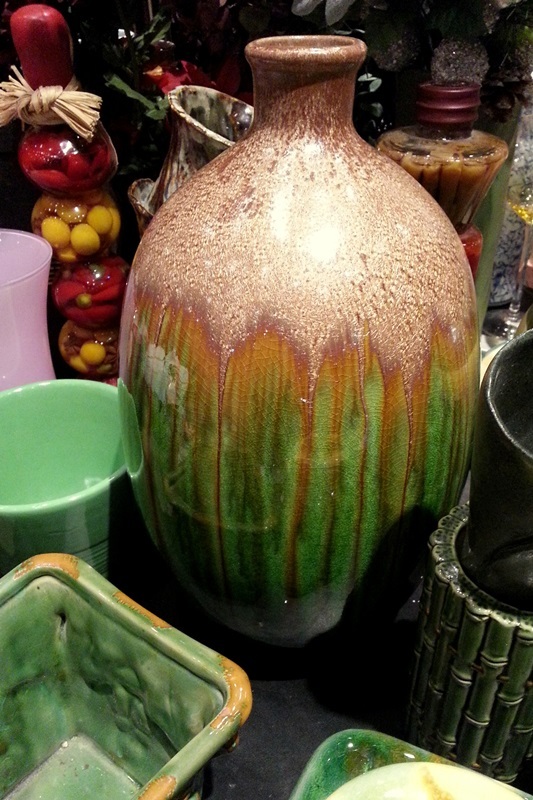 I was liking this vase, too, although not the $20 price tag, until I saw the Made in China sticker on the bottom. This only reinforces my usual impression, which is that Goodwill is best for clothes, not for housewares. That’s all I’ve got for now, but I would love, love, love to hear your recommendations for your favorite spots to thrift in Austin. Please expand my horizons! I can always add a part two . . .